These are normally supplied with out holes, if you would like holes added, free of charge, please leave us a message at the checkout. 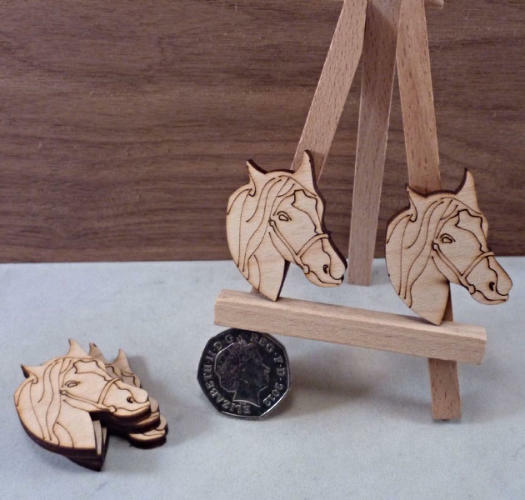 Please use the drop down boxes to select Size, pack size, etched or non etched. 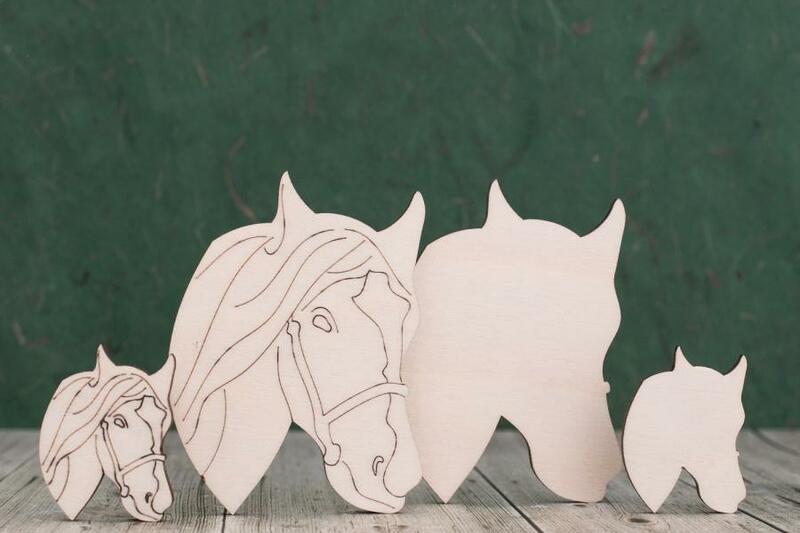 Wooden Horse head shapes perfect for crafting. 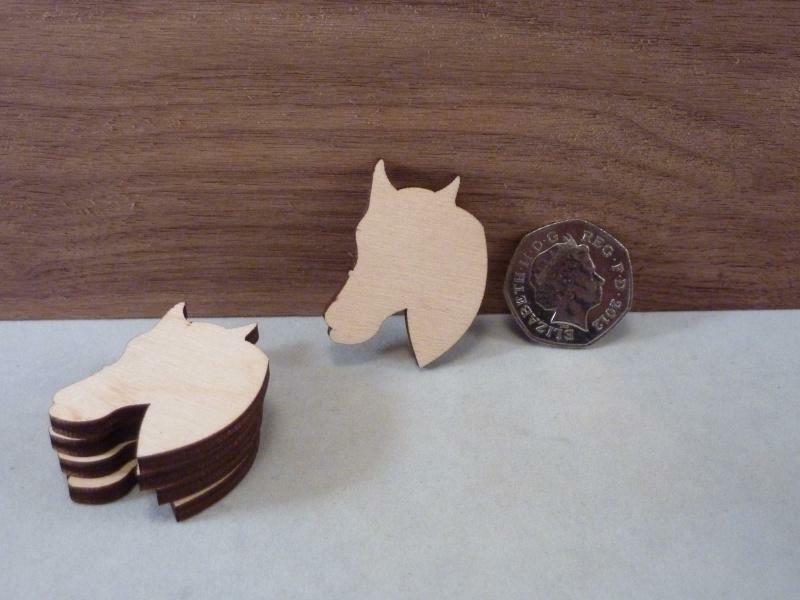 These are cut from quality 4mm birch ply wood using our in-house laser cutters here in the UK. 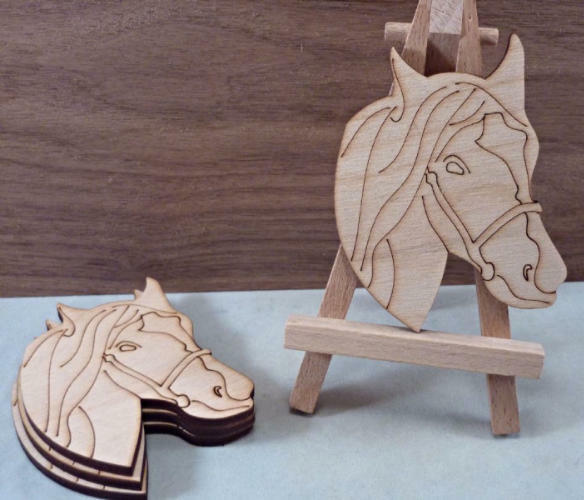 These horse head craft blanks are sanded both sides ready for you to decorate as you wish. 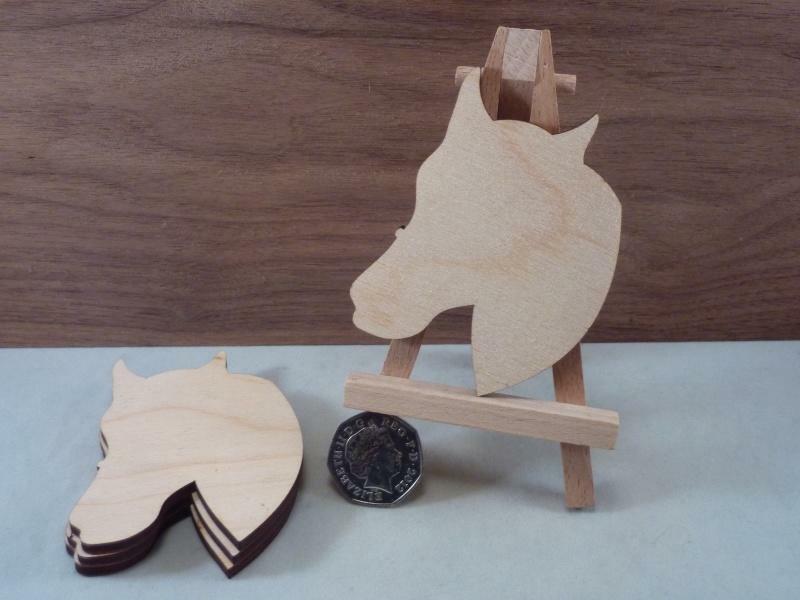 We can make these to your own requirements please get in contact to see if we can help with your craft project.